How can a company successfully yet inexpensively promote an industry, service or idea outdoors? 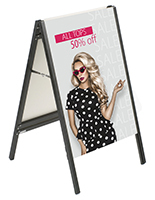 Sign supplies, like these blank bases and frames, are exterior display fixtures that option versatility and affordability. Empty hardware and equipment of this nature allows users to add customized messages or graphics of their own. 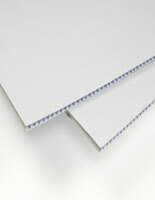 SignSupplies2Go.com provides these economical sign supplies as an effective substitute for more expense vinyl banners or other signage with screen printing. 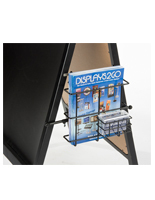 In addition to being so inexpensive, the merchandising solutions serve a number of purposes. 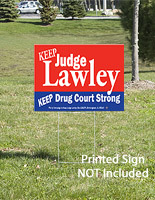 These sign supplies are the portable messages often placed on front lawns to sell homes or promote political figures. 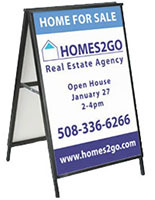 They are also applied outside of businesses, at storefronts and even in trade show settings. 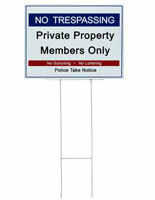 The stylish sign supplies attract attention while drawing customers or supporters. 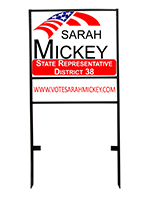 Whether you are running for office or simply marketing to consumers, the message holders will keep viewers enlightened. 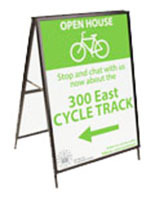 Most of these sign supplies have portable designs to make informing the public even easier. 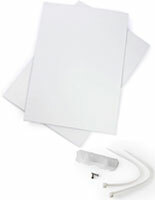 Peruse the complete collection of wholesale sign making equipment online! 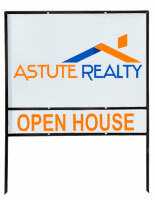 What are some typical uses for a blank frame or base sign supply? 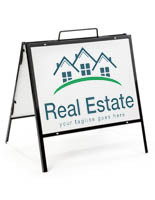 Realtor signs, or metal holders, are fabricated from strong substrates to stand up to outdoor environments. 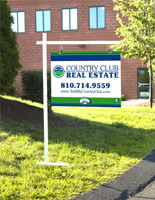 Many realty offices and agencies stick these models in the ground at available properties. 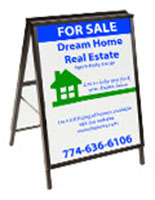 They help sell homes or commercial property in a grassroots manner by allowing the sidewalk signs to tell of square footage, lot size, facilities, as well as pricing or contact information. These styles are the industry standard for selling houses. Another common use of the empty metal frames involves the political arena. Campaigners, candidate staffs and followers place the sign industry equipment racks in front of residences or businesses that back particular nominees. 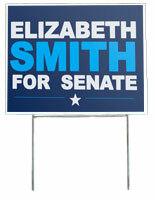 These signs are yet another good old-fashioned strategy for passively notifying the general populous. 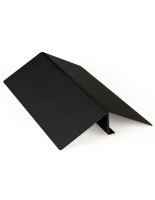 A-frame signage equipment is another highly versatile yet cheap method for advertising. Businesses and retail outfits of all types implement these units to communicate specials, new objects, practical services and more. Nearly any establishment, whether it be in the food industry or another field, can reap the benefits of professional fixtures. 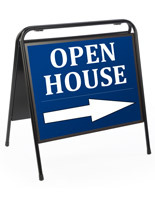 Floor-style sign supply options are primarily used indoors at conventions, tradeshow events, expositions and meetings. These sign making choices are unique in that they are compact yet longstanding. 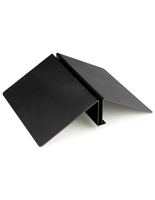 Locales with heavy foot traffic feature from portable yet sturdy bases. Several of these versions clamp signage tightly for long-standing or short-term displays. 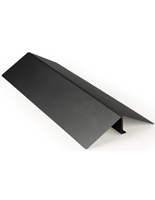 Sign fixtures with water-fill bases are great for exterior set-ups. All kinds of locations place these wind-resistant units near their entrances to provide facts concerning an industry or simple company values. Any establishment can utilize these to attract more clients or sell more wares. 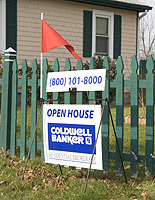 There is no limit to the uses of sign display equipment. 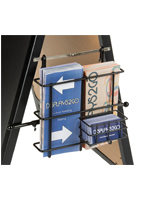 One of the greatest aspects of the display industry is that there is no set way to use marketing supplies. If it works for you, then it works, period. 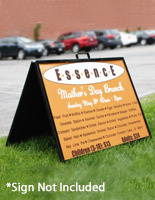 What substrates are used to manufacture these sign making frames? 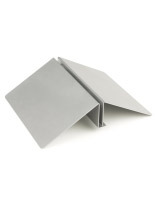 All of these bases and frames are fabricated from strong, high quality components. 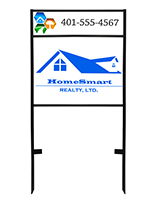 The realtor signs offer various metal rod gauges, including 9 gauge and 4 gauge construction. These styles are finished in either black or silver for a sophisticated yet subtle display. Using neutrally finished equipment enables users to insert any signage without the worry of looking tacky. 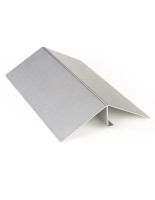 Similar to the wire metal models are the A-frame configurations. 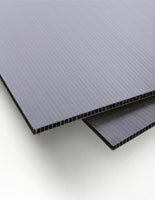 These include both aluminum and polystyrene fabrications. The wholesale, aluminum versions provide longstanding yet attractive presentations, while the cheap plastic options were developed as economy selections. 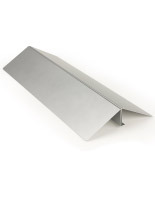 Still other metal styles incorporate the floor fixture signboard holders. There are black powder-coated steel models, as well as longer silver steel bases. These models are some of the strongest available from our company and are definite contenders on the trade show or sales floor. 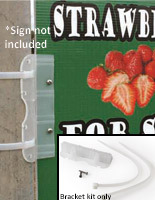 Last but not least are the polyethylene fillable bases that are for sale either with or without signboards. 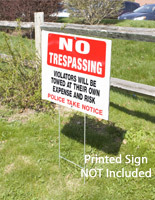 Because these merchandise can be filled with water or sand, displayed signage is much less likely to topple over and become damaged. These offerings withstand windy environment with relative ease, and are easily cleaned due to the plastic make-up. 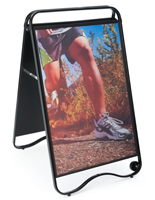 Message signs, frames and bases provide every company with the tools they need to stay ahead of competitors. Many units will display graphic inserts with screen printing, hand-drawn signboards, vinyl banners and more. 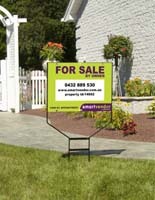 These options allow for targeted marketing while giving the user the choice of what posters, prints or signs to use. 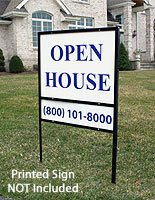 Wholesale sidewalk signs are lightweight and very portable to enable expedient set-up and take-down times. Temporary fixtures help expedite the sale of homes or the election of a specific local, state or national representative. 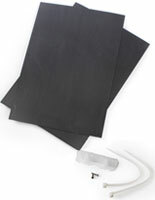 Although most of these sign making supplies are set up outside, they can also be used within retail outfits on the sales floor. 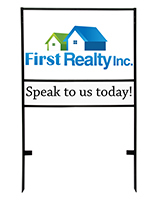 These portable message solutions work for every environment, as they are offered in many colors and can be equipped with displays that use screen printing to match every industry player, company or atmosphere. 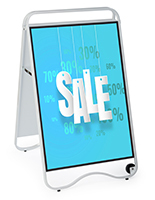 Enhance sales while extending your marketing funds when you purchase inexpensive, wholesale commercial and professional sign displays. Every innovative benefit is for sale now in our online catalog. 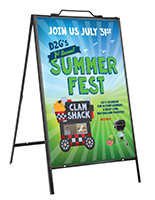 At SignSupplies2go.com, we provide premium A-frame signs, as well as real estate sign making supplies, vinyl banners that have screen printing and other equipment at wholesale prices. How is our company able to offer discount bargains? We maintain one of America's largest sign making industry warehouses, and our immense stock has a model for every purpose and any budget. Furthermore, if your order is in-stock and placed by 2 pm EST, your order will ship the same day!